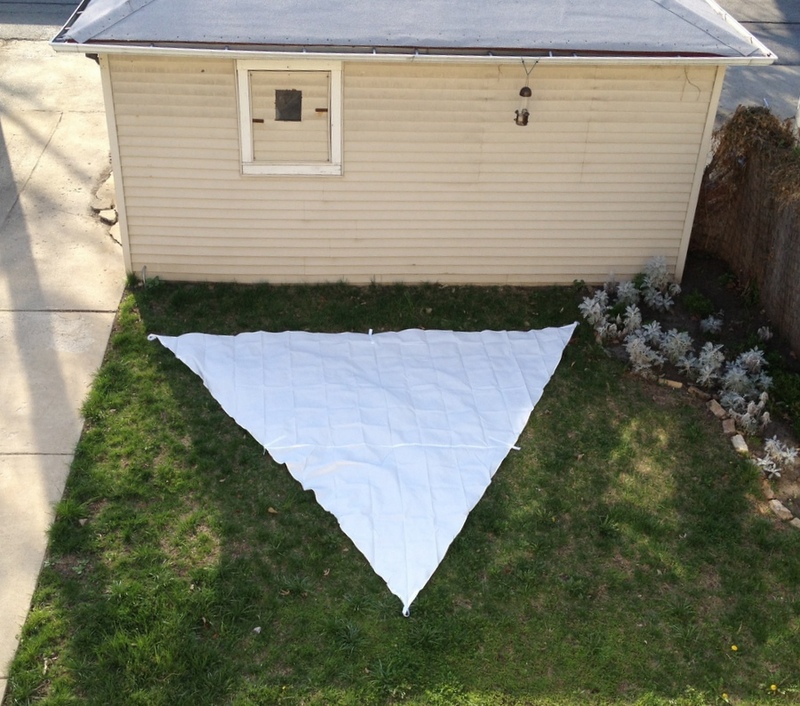 On April 4th I asked you, dear reader, to “check back soon for posts on building raised garden beds and installing a backyard shade canopy!” Well, I delivered on the garden beds… and never mentioned the canopy again. 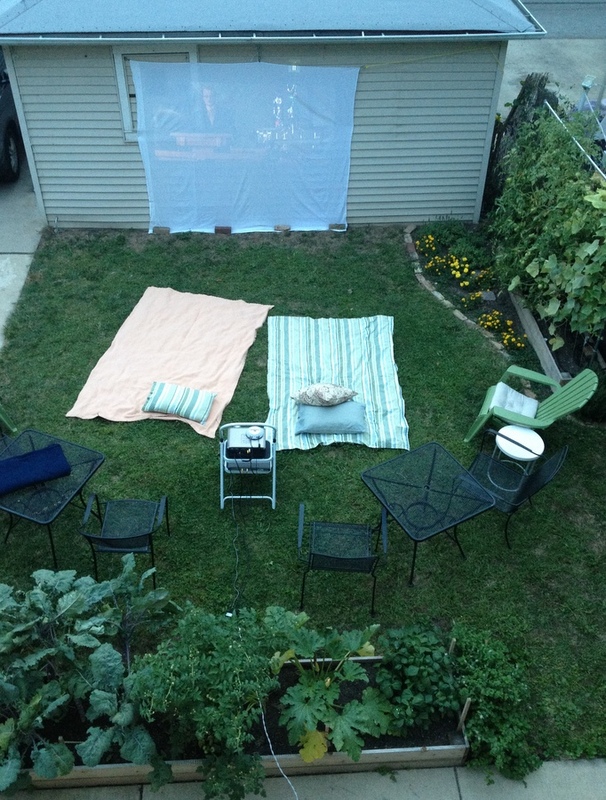 IKEA’s DYNING canopy seemed like a great solution for our sun-scorched backyard. 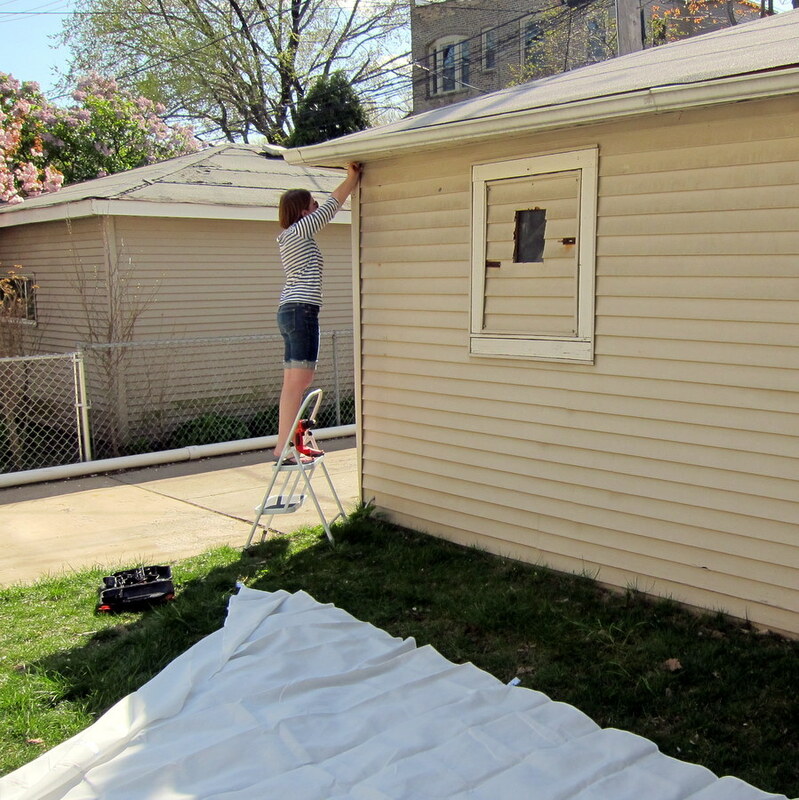 The width was perfect and installing the anchors into the back wall of our garage went easily enough. We needed something freestanding to hold up the triangular canopy’s apex. I inserted a screw eye into a wooden closet rod, which was supported by both a patio table and a heavy patio umbrella base. Seemed sufficiently sturdy. But there are no pictures because, within ten seconds, a gust of wind caught the canopy like a sail, pulled over the table and cracked the wooden pole like it was nothin’. GAME OVER. I then understood why The Brick House used steel plates and masonry bolts and concrete holes and huge metal poles for her shade sail. 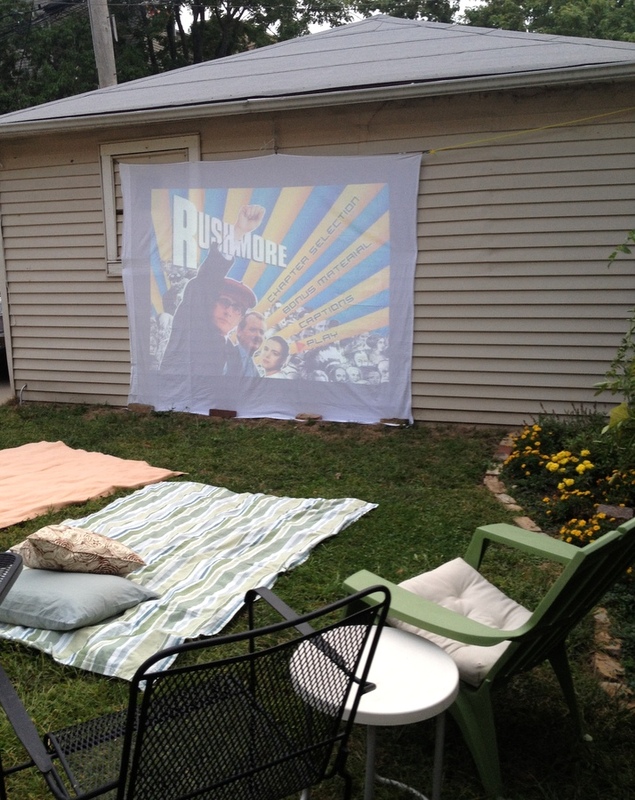 I wasn’t willing to go that route, so the anchors hung unused until my coworker loaned me a desktop projector for something far more awesome than a canopy: a backyard movie night. 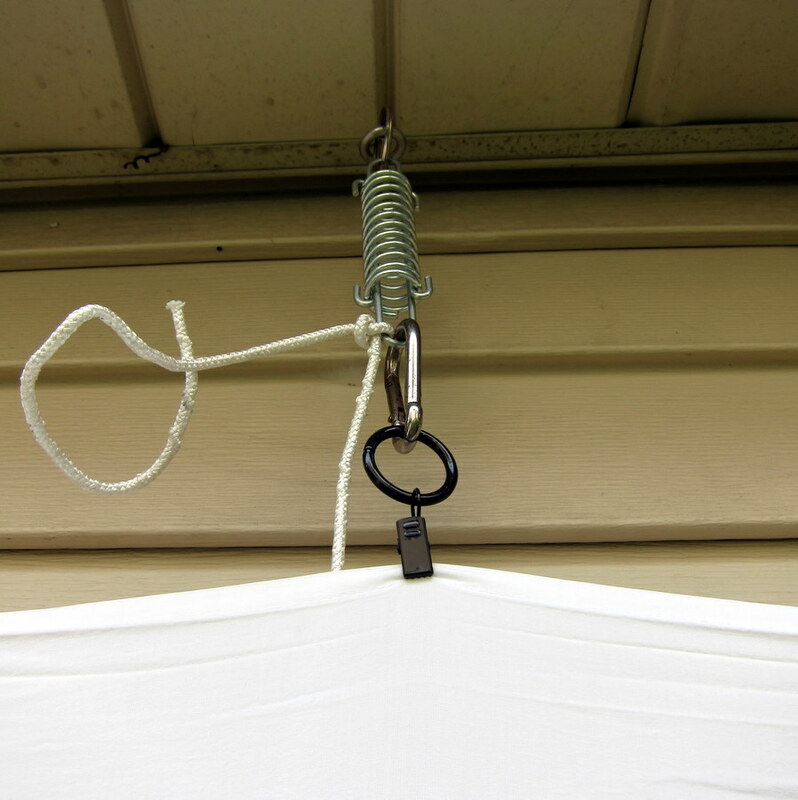 I used curtain clip rings to hold up a plain white sheet and weighted it down with some bricks. 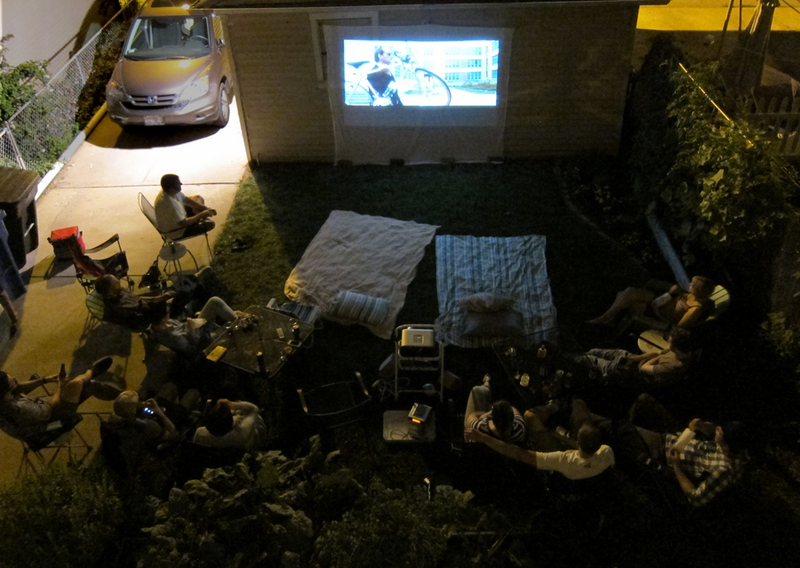 Doesn’t look fancy but the screen worked perfectly – the picture quality was great once night fell. 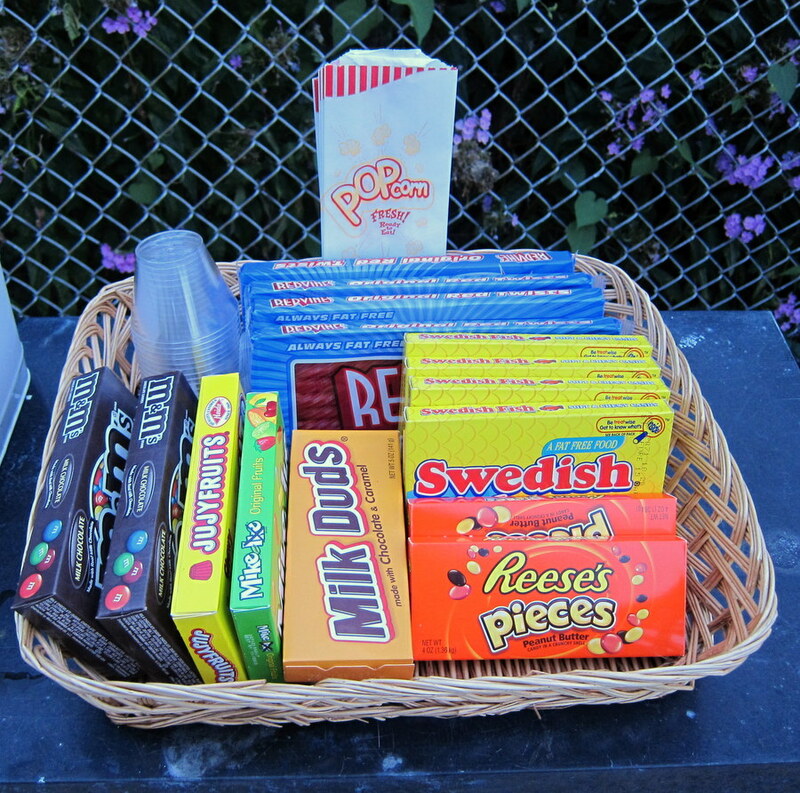 It was a Rushmore/Willy Wonka doubleheader. 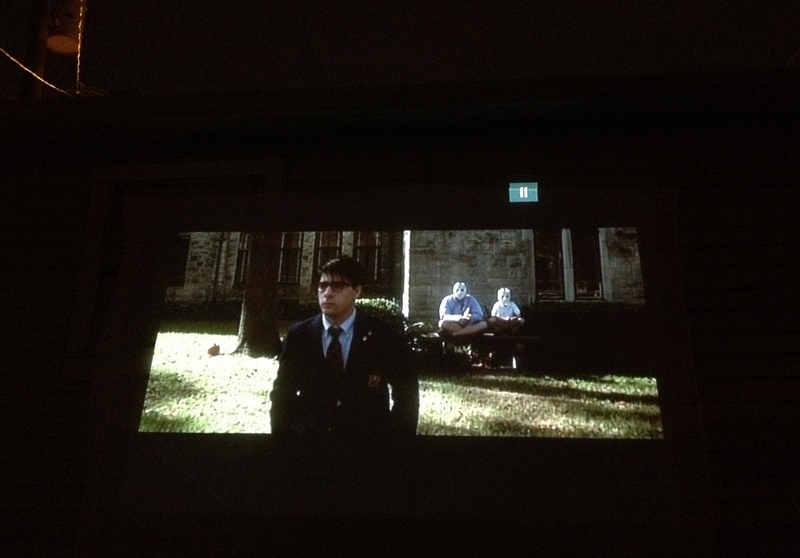 The saturated colors, direct dialogue and minimal cussing of Rushmore worked well for this forum. I had considered The Big Lebowski but nixed it due to the ferocity of expletives and the nearness of our neighbors. 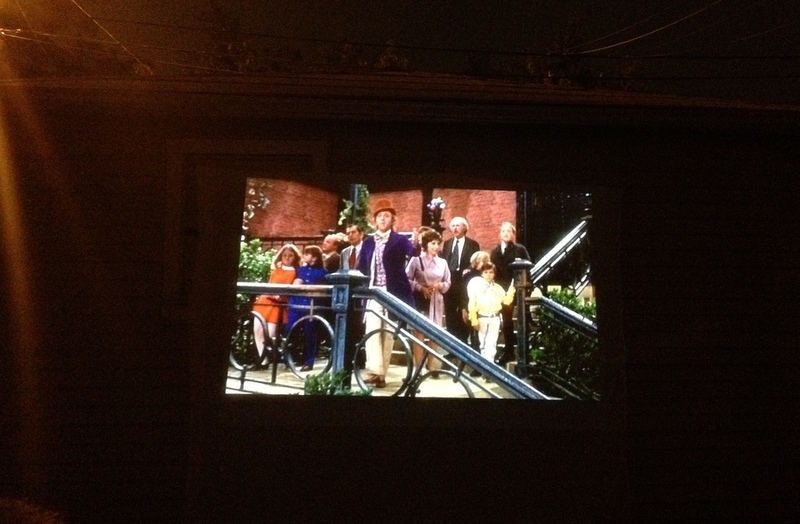 Also out of consideration for our neighbors, we lowered the volume on Willy Wonka and just had it playing in the background while people hung out and talked. Be sure to bring out your loudest speakers. We went through two sound docks, which were too quiet, before hauling out our bookshelf stereo system. No one over the age of 25 wants to sit on the ground. Haul out all your chairs.